This introduction and walking tour is also widely available as a free leaflet to guide your visit, with a short history overleaf. It's first mentioned as 'Egonesham' in the Anglo-Saxon chronicle, but over the centuries the name of the village has changed many times. 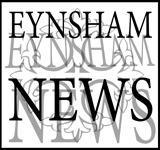 Up until the 19th century most maps mark it as 'Ensham', but then the spelling was changed, by either the Post Office or the Ordnance Survey, to Eynsham. Despite the 'y', it is pronounced 'en-shum'. 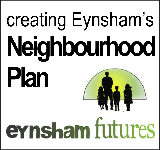 Eynsham is home to a wide variety of activities and events. The calendar begins with May Day celebrations, marking the start of the Morris Dancing season. 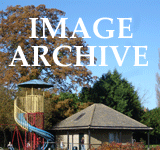 One of the biggest attractions is the annual Carnival - dating back to 1938 - while art exhibitions, Eynsham in Bloom and the Village Show cater for quieter tastes. There are many pubs and restaurants if you want to eat out and plenty of leisure groups, societies and sports clubs if you want to settle in. Just opposite Thames Street, turn right, up Conduit Lane, which will bring you back to the car park. 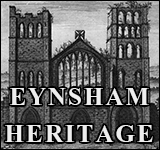 Was this the key to Eynsham Abbey?